Today we have our first lay bet in December, as part of my Advent Season free months trial. 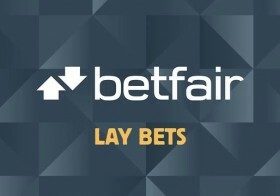 As a rule of thumb i only recommend laying at odds 5.0 on Betfair as if we were laying at the higher range of odds example 11.0 this shall take 10 bets to accumulate our losing one bet ! Ground factor, is the key for this final race on the card, who is far short in the betting, and the ground shall be cut up and heavy, and the selection may struggle in the ground.